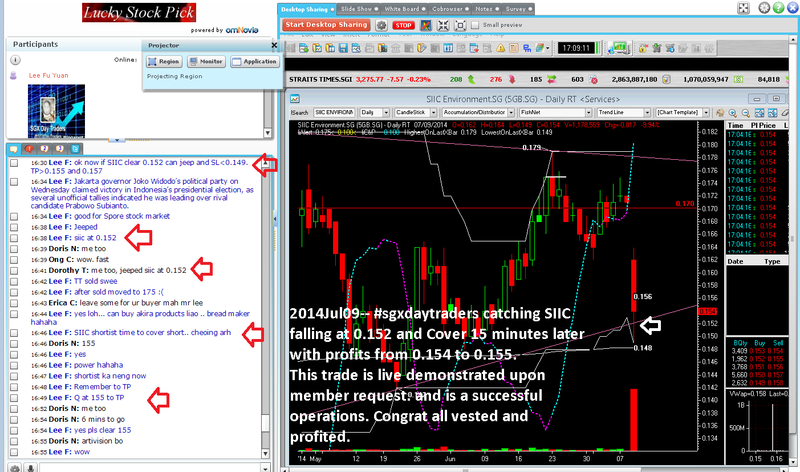 2014Jul09-- #sgxdaytraders success catching SIIC falling knife at 0.152 and Covered back 15 minutes later with profits from 0.154 to 0.155. This trade is live demonstrated upon member request. and is a successful operations. Congrat all vested and profited. I think the post is really interesting for traders to identify whether the market conditions are favorable or not.